 Master percussionist Pablo Batista has performed, recorded and toured internationally for 30 years with some of the biggest stars in rhythm and blues, jazz, Latin, pop and gospel. These have included artists as diverse as Alicia Keys, Patti Labelle, Kirk Franklin, Jill Scott, Gerald Levert, Jeffrey Osborne, Phyllis Hyman, Teddy Pendergrass, Diane Reeves, Norman Brown, Manny Oquendo and Libre, Eddie Palmieri, and Musiq. A drummer of unusually diverse talents, he is highly regarded for his professionalism, tireless work ethic and ability to listen and integrate his playing into almost any style at the highest level of musicianship. He holds the rare distinction of having performed on Grammy-winning releases in jazz, R & B and gospel, but he has also been a guest with the Philadelphia Orchestra Percussion Ensemble. Pablo Batista’s 6-piece Latin Jazz Ensemble brings the funk en clave to Philly’s deep jazz playbook, with irresistible, original interpretations of classics from Dizzy, Trane, Lee Morgan, Stanley Clarke, mentor Grover Washington, Jr. and contemporary out-of-town jazzers like Art Blakey, Chick Corea, Michel Camilo and more. 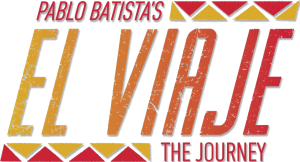 Created in collaboration with co-writer/arrangers Dennis Guevara and Victor Pablo, and Cuban choreographer Gilset Mora, El Viaje combines sacred Afro-Caribbean bata drumming, chant and traditional dance with elements from European classical music, jazz and blues, R & B, funk and salsa. It reflects the journey of captive African cultures as they were blended and transformed over five centuries.